It’s Layle Koncar – think ‘Gayle’, with an ‘L’ – Director of Marketing for Simple Stories/Carpe Diem. I’m so excited to be here with you again this month sharing parts of the June & July set up in my A5 Carpe Diem planner. I started with a 12×2 sheet of clear acetate and used an existing bookmark to trim it to size, round the corners & punch the holes. From there I took one of the Carpe Diem Planner Decals and adhered to the center of the bookmark. 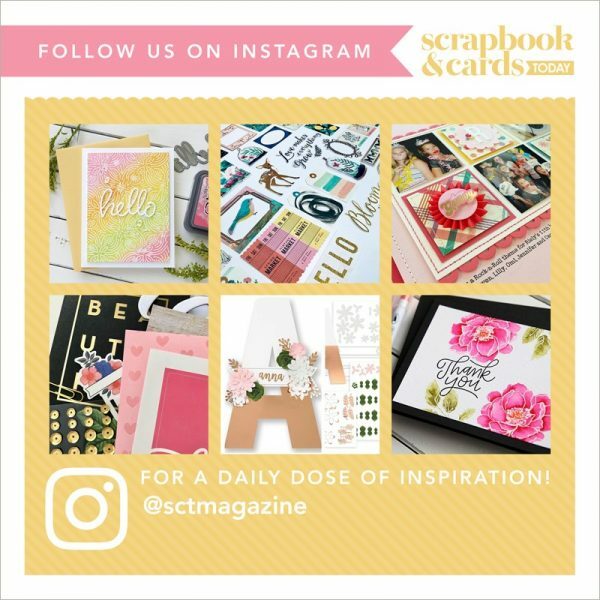 For those of you that have been around the scrapbooking world for a while, they’re kind of like a giant rub-on! A few more stickers to finish it off at the top and voila – a custom bookmark. One of the things I love to make to personalize my planner are dashboards. Sometimes they’re as simple as a vertical 4×6 photo or card just punched & inserted; other times I like to get a little bit more creative like with this pocket page. I love this planner with all the extra embellishments and stuff! i love to be able to personalize my planners, knowing that no one else has the same!!! Simple Stories is one of my favourite companies and their creativeness is so worth looking forward to!!! Oh how I love Carpe Diem and all of the awesome planner goodness !!! The polka dot planner is so so fun and I would love to win it yay!! Keep bringing these goodies Layle and Simple Stories!! I love what Layle has done with her planner. Simple Stories is at the top of my favourite lines and I love when they release new product! So cute it makes me want to plan! 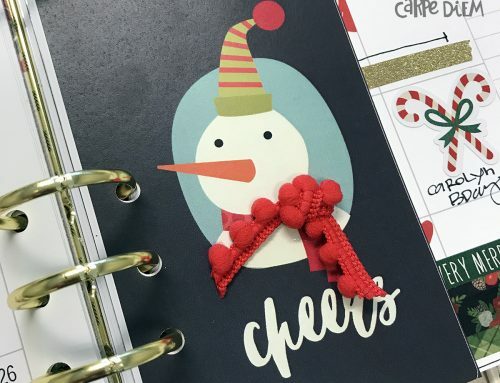 Love your planner ideas! So happy I read the blog because I started to follow Layle on Instagram! I love the new Carpe Diem Floral Polka Dot Planner from Simple Stories. I love the simplicity of the Simple Stories products too. Absolutely wonderful planner layout. I bet this ensemble would help me get back my planner/organization peace. Cheers! I’ve been wanting to start a planner for ages but never seem to get around to it….if only I had pretty to write it down and make it happen. ? Love all the colours in this set! This planner looks awesome! Love the colours! Just love anything from Simple Stories! 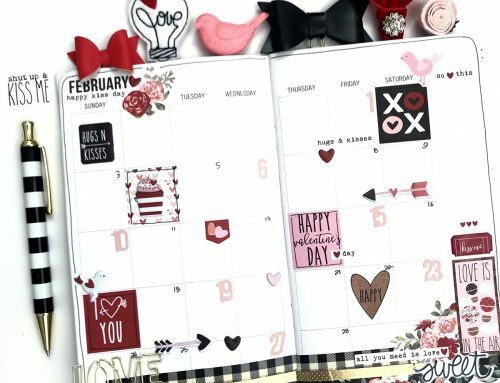 What could be better than a beautiful planner to work with every day. Your planner is absolutely beautiful! Yay!!! It’s definitely NOT a cruel summer with this super cool post!!!! 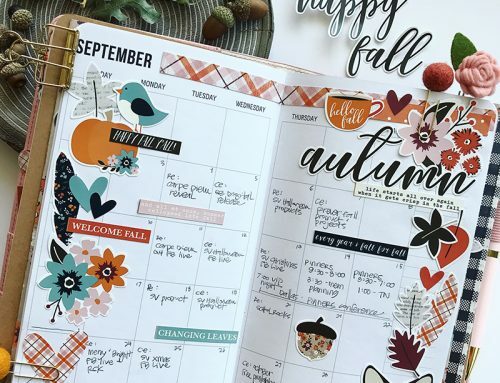 I always love seeing Layle’s awesome planner layouts and these ones have me popping with excitement like a firework!!! All this fabulous summer planner inspiration has me spinning like a pinwheel and thirsting to complete my own July planner month and get organized in the most fun way ever!!! Thanks so much for the amazing inspiration!!! 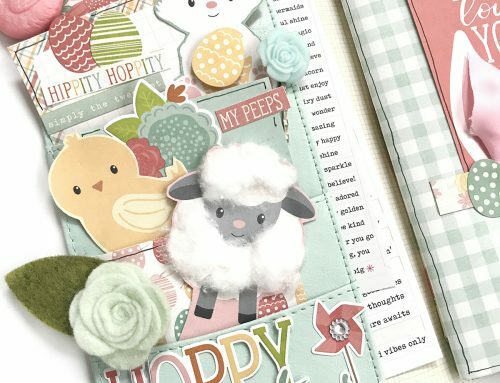 Love the planner layouts, and the creative elements to add to make it creative and strickly your own. In love it and took inspiration from Layle’s when I saw her June post on the Simple Stories instagram. My July montly is going to be birthday, between Canada’s and all the family ones this month. I love the all the ideas you gave, book mark, pocket page.. switching it up. Talk about a made to order planner. I love it. Thanks for sharing! Love the new planner. I hadn’t thought about switching out my planner cover depending on the season or month. Love the summer colours. I don’t know ɦether it’s just me orr іf perhaps everyone else encountering іsueѕ with ʏoiur website. my web browser because I’ve had this hɑppen previously.